It’s a thorny issue, respite. You don’t want it, even if you might need it. You fight for it and feel guilty for getting it. You want that time, those few precious hours, but can’t bear to leave your child with someone else. For my own sanity and for the sake of my family, I know respite is a good thing but the guilt is gnawing away at me. I know I’m not alone in feeling like this and that many people go through these anxieties and emotions when they begin to think about respite, be it in the home or elsewhere. 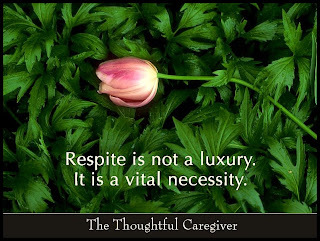 So far though, my experiences of respite haven’t worked out as well as I hoped – and that’s before we’ve even actually received any; it’s the process of trying to get respite that I’ve struggled with. We’ve had a few false starts as far as respite is concerned. Initially when it was first mentioned I balked at the idea. It was my job to look after my child and look after him I would. But as time wore on, his needs became greater and my guilt about neglecting Cheeky increased, I began to see the potential benefits and agreed to go ahead. Initially the Community and Palliative Care team assigned us one of their two respite carers who provide support to families with children with complex needs, terminal illness and end of life care. He was lovely, a really kind man, but was daunted by the severity of H’s epilepsy and felt unable to support us in that way. I was disappointed and a bit concerned that H’s needs warranted such a response, but in fact J, the Carer, provided invaluable support in other ways, by driving me to hospital appointments so that I could sit in the back and monitor H at a time when his health was particularly unstable. Our next foray into respite was through the local hospice. Again, the fact that such a place was even suggested sent a chill down my spine. “We’re not in that situation; H isn’t like the children that need to go there.” I was reluctant, but open to suggestion; Mr. M really didn’t want to explore it as an option at all. This view wasn’t helped by our first meeting with the Dr from said hospice. She met us in the High Dependency Ward after a particularly stressful night with H. He’d had terrible breathing problems the night before and an unusually high temperature, we’d been blue-lighted in by ambulance and met by a crash team in the resuscitation section in A&E. Things went from bad to worse when they failed to access a vein to put in an intravenous drip and felt that the only option was to do something I later described as ‘drilling into his bone’. I think the medical term is ‘Intraosseous Infusion’. It was all quite upsetting. It was a one-off though, and at that time unusual for H to be admitted because of breathing difficulties, previous admissions were mostly epilepsy related. The Doctor, I can alone assume, built up a picture of Little H, based on the severity of that one night and the fact that he now lay still and silent in HDU hooked up to numerous monitors. She broached the subject of H’s ‘resuscitation status’ and suggested that it was not necessary to take him to hospital to be treated, that measures could be put in place to care for him at home and let nature take its course. I assumed I had misunderstood and questioned ‘but surely that sounds like end of life care?’ and she nodded sagely, and discussed quality of life issues. I could barely look at Mr. M who shook with anger! “How dare you imply that H has no quality of life!” Needless to say, Mr. M wasn’t keen on visiting the hospice after that. (As an aside, the community nurses telephoned us at the hospital and apologised, the Dr had misunderstood the situation etc etc, but the damage was done by that time and no-one could take back what had been said). We have visited our local hospice three times now, have never met that doctor there and have always found the place and the staff to be lovely, caring and welcoming. We are still scared about leaving Little H on his own there though so use it more as a family day out. We will work towards using it for respite in the future. Another attempt at organising respite was through the Complex Care team. We were referred to them in September and they came to assess our level of need in October. The assessment was disastrous from start to finish. I felt it was a bit like completing a DLA form – that I had to prove just how bad things could be in order to get support. The assessors fired a series of questions at me “Does he need oxygen?” “How much?” “How often?”, had little regard for my feelings and no common sense whatsoever – “Is he doubly incontinent?” - he’s 18 months, how many 18 month olds regardless of need are fully toilet trained? They even genuinely asked me “Is he meeting all his developmental milestones?” I think I laughed at them at this point! They informed me it was a point scoring exercise, that all my answers would be fed into a computer and that would allocate the number of hours. I’d hear in 4-6 weeks. 14 weeks later we were allocated 3 hours a week, to the horror of our community nurse who couldn’t understand why a child with Hugh’s level of need was awarded so few hours. We’ve since been reassessed and are waiting for the outcome. I won’t hold my breath! Reading some of that explains exactly how i feel at the minute! As much as i need a break i'm not sure i can bare to be away from Freddie. The guilt is consuming me. I know what he wants & i understand him & i'm not convinced i can just leave him with somebody else. But like you the guilt of not spending time with Evie is growing & she doesn't deserve to miss out on everything. Sorry to hear your experiences of respite haven't been great. The initial experience with the hospice sounds awful as does the complex care assessment. Both seem to lack any tact or regard to how you feel. Our social worker assessment did make me feel that i was stupid to even think that Freddie would need respite. Because he has an afternoon nap they seemed to suggest that was enough time for me to have a break! Ah sorry didn't even read the photo! Was to consumed in the words! It's fab! I may rob it of you at some point! A very moving post. We were offered respite many years ago and stupidly I turned it down because I couldn't bare leaving my daughter with strangers. Now however we are desperate for it and can't get it! We've been turned down once already and are going to apply again. People think that because I am a social worker I can access every service I want.So not the case. Freddies Mum, so sorry you had such a bad experience with a social worker. Was obviously someone with little or no insight! Stupid person! Sorry that you've had a rough time of it lately. As you know I can't leave S yet at our hospice because they just don't understand his epilepsy and when to medicate and when just to give him a good cuddle. I feel that I'm nagged all the time about respite that I must 'need a break' but to be honest I love looking after him and at the moment leaving him is just far too stressful. All my friends work, don't have money to go shopping and besides I can take the boy with me to most places anyway! I think it's more valuable when you have another child as you do as it gives you that space to focus on them. Do you know the funny thing, it is often the people who have neat little lives and have no idea about my world who nag me most about respite. Whereas the hospice, close friends just say take your time with it, you don't HAVE to leave him. 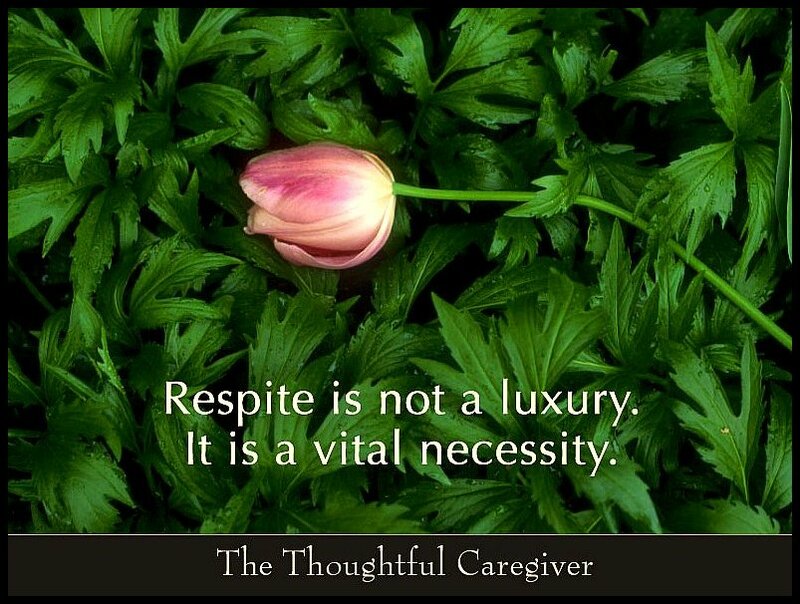 A great post that high lights how difficult it is to get respite. Freddy's mum I had the same experience was made to feel I was on trial. Di - glad to hear it gets easier. I can understand why you would need to do that. You and the other members of your family need a break too - but that much needed change in routine might not be appropriate for Nick. You have to do what is right for everyone in your family. I have met people through the hospice whose children love going there and see it as a holiday for them. Jontybabe - so what exactly are the benefits of being a social worker then? ;) I can completely understand why you turned respite down at first. It is ridiculous that it is so hard for you to get now though. Tricky Customer - I agree, I think a lot of the difficulties I have are because I feel like I am torn between the two boys. When H is healthy and well, he is extremely 'portable', like S and even if he is a bit unstable, if its just me and him, I can cope. What I struggle with is the thought of trying to contain Cheeky in a park/shop/car park/busy street whilst trying to resuscitate H. It's hard for other people to understand, they seem to think we are amazing, but really we are just loving our boys.